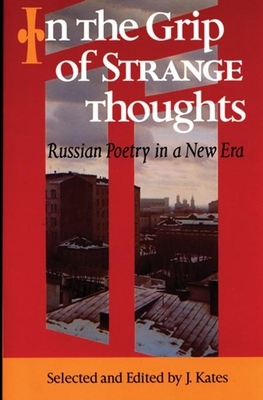 In the Grip of Strange Thoughts: Russian Poetry in a New Era is a Russian and English bilingual edition of thirty-two contemporary poets writing amidst the upheaval of the Russian 1990s. The collection conveys a sense of the profound freedom and energy of a unique moment in Russian history, as well as the diversity of experience in the years before and since. Edited by poet and translator J. Kates and with a foreword by poet Mikhail Aizenberg, the collection includes poems written long before 1990 but which could not be published, and those of more recent vintage. These thirty-two poets represent a phenomenal range of styles and perspectives. Beginning with the poet and popular songwriter Bulat Okudzhava, who started accompanying his poems on his guitar in the 1950s, the anthology includes poets whose work is deeply rooted in established conventions, avant gardists experimenting with new forms, and adherents of Russian free verse. Poet and literary translator. Alone and in collaboration, Kates has translated six books of poetry from French, Spanish and Russian, including poems by Tatiana Shcherbina, The Score of the Game (Zephyr,2002) He also edited In the Grip of Strange Thoughts (Zephyr Press, 1999). Mikhail Aizenberg: Architect, poet, essayist. Born 1948, Moscow, graduated from the Moscow Architectural Institute in 1972, he has been writing poems since the mid 1960s.